I haven’t bought anything but this has definitely won me over in terms of how much I enjoy this. If they cleaned up the menu a bit and fixed a bug where I can be guaranteed sound without any Bluetooth device when I disconnect said device in game, that would be great. I suppose I use my speaker and headphones mostly though so no skin off my nose. As far as purchases, I’m not sure I can pull seventeen bucks right now, and saving three bucks sounds nice if I buy the whole trilogy because I might buy the whole thing anyway. BUT as far as the initial game it’s conceivable that I can pull of 20 bucks at l a later date gradually over time, so then the only question is whether the original ace attorney game is worth it with only three episodes left for six bucks, a 2$:1 episode ratio. I suppose what would determine THAT is the amount of trials held in court each episode, yet just knowing that would spoil story. I LOVE Ace Attorney. And it’s all thanks to this app!! As a 15-year-old kid who missed the bus for the original DS version and didn’t really ever hear of this game till it came out on the App Store, this app is literally the first contact I made with something I now talk about on the daily. 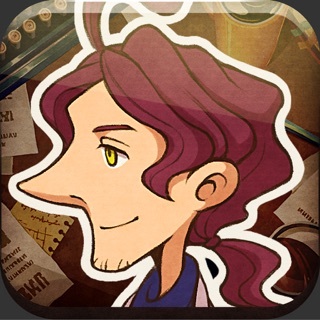 It’s exactly the game I’ve been looking for for a long time, and it got me into forensics and mock trial at school. I know it’s got some bugs, and after getting the third game for my DSi, I do think it’s a little cleaner in its original version, I think this app still embodies the best part of the game (and is basically the only thing I do on my phone). The convenience of it being an app outweighs most of the glitches. The only thing that really bugged me was the problem with Rise From the Ashes where the luminol was ineffective, and I basically have to skip ahead in order to move on. Also, I used to be able to see achievements on Game Center, but I can’t access this part of the app anymore. 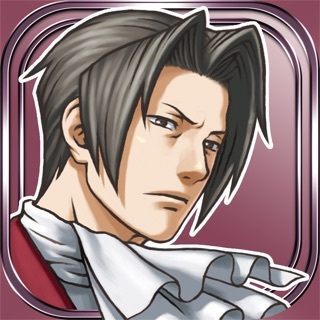 I just download this app Tuesday April 26, 2018 and just downloaded the full Ace attorney: Phenix Write in app purchase yesterday. Needless to say, this app has been better improved in clarity and colors but, now the 2.5D main characters in a case seem not to fit the 2D backgrounds. I can see why they did this: to let the main characters feel more immersed and alive in the story which it does accomplish. I would say most reviewers on here don't enjoy the 2.5D characters since it ruins their nostalgic view from the original DS game however, This is a better port overall for the reasons listed above!! I do have one negative about this game which is it does get really laggy switching throughout the menus and trial days but, that's all. Overall, this is the same game as the original DS version, and except the the updated 2.5D characters and clarity is it really such a bad port?!? Great work Capcom!! !